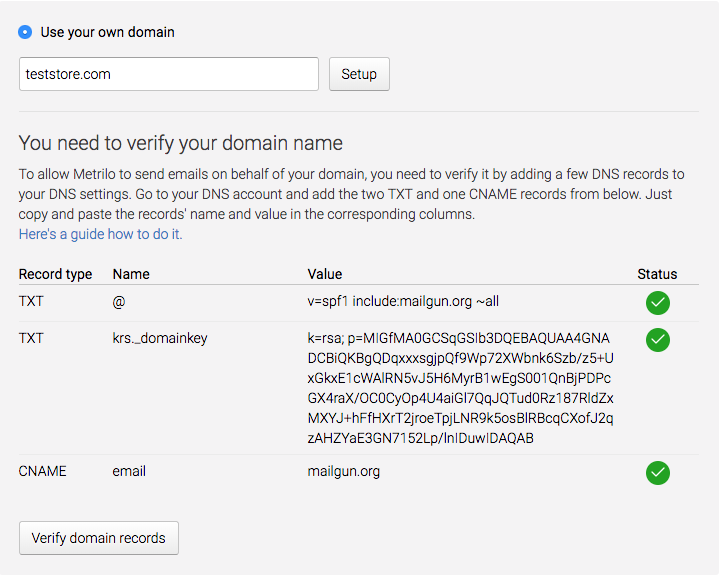 To setup your own domain for sending emails with Metrilo, you need to add a few DNS records. Why do you need to do that? How to setup the domain? 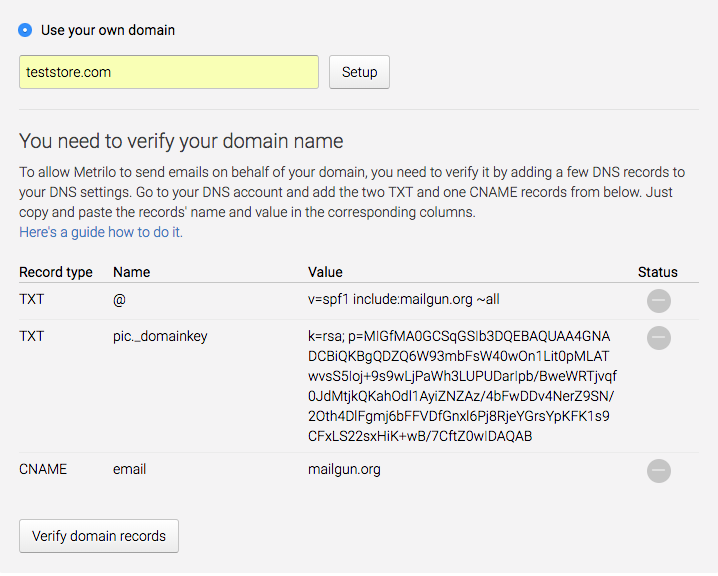 Go to your account Settings in Metrilo and open the Sending Domain menu. Add your domain in the field and press the Setup button. 2. This is what you will get when you press the Setup button. instead of teststore.com (as you see it in Metrilo), put "@"
instead of pic._domainkey.teststore.com(as you see it in Metrilo), put only the first part, which is the key generated, e.g. "pic._domainkey"
Name: Instead "teststore.com" you will need to add simply "@". Name: Instead "pic._domainkey.teststore.com" you will need to add simply "pic._domainkey". 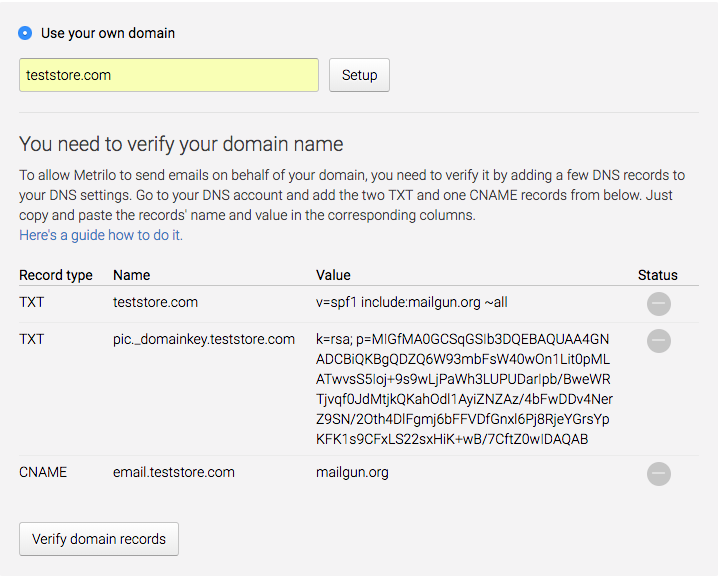 CNAME: Instead "email.teststore.com" you will need to add simply "email"
Value of the records stays the same! If you have any problems, let us know in the live chat. We wish you success with email marketing!